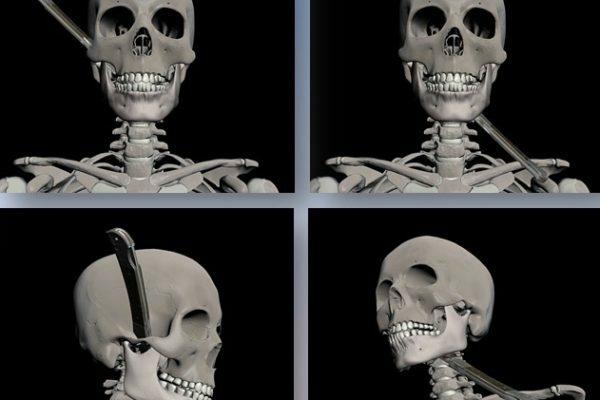 3D Forensics – Forensic Measurement, Analysis and Visualization 3D Forensic Reconstructions is a growing discipline in the field of forensics, but encompasses the use of total stations, laser scanners and photogrammetry to document crime and accident scenes in three dimensions. 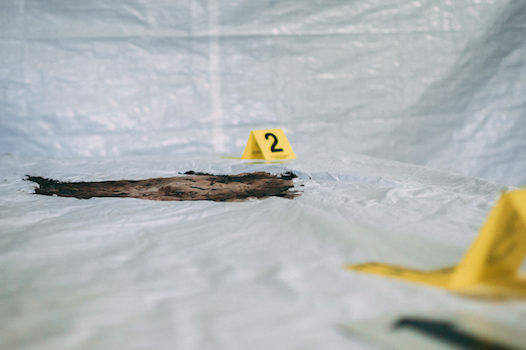 The resulting data can be analyzed and the environment can be reconstructed into a working model of the scene as it was at the time of the crime. 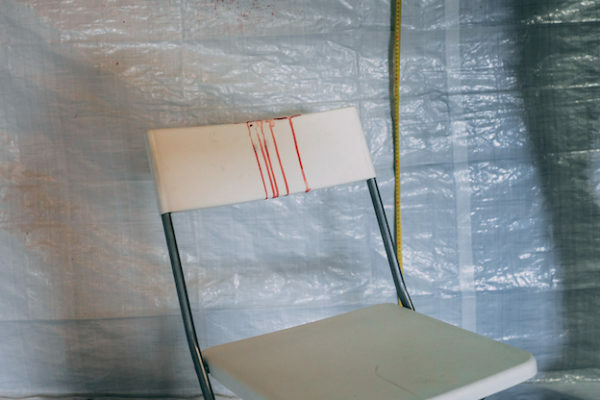 Suspects, victims and physical evidence can be placed back in their respective positions and physical characteristics of different scenarios can be checked for consistency. In reports IFS uses where necessary pictures of simulated scenarios. These are to support the report, because sometimes one single picture tells the reader more than a full page of text. 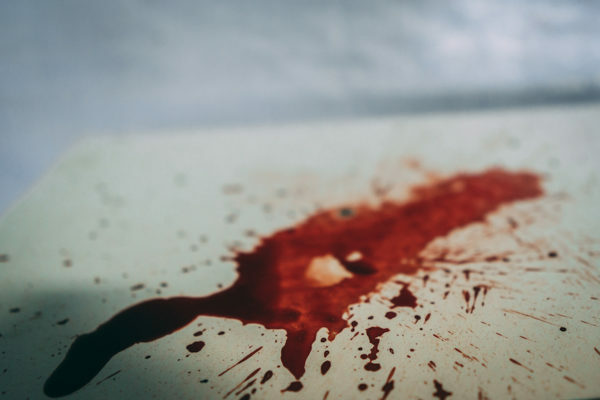 Different theories are being tested for feasibility and a simulation of a crime scene or a certain position of a suspect in relation to a victim using 3D can give us new insights how a certain chain of events could have happened. IFS is working closely with 3D experts also member of the IAFSM on international cases. Together we work as part of the investigative team to assist police, experts and attorneys with rebuilding a case from the ground up. 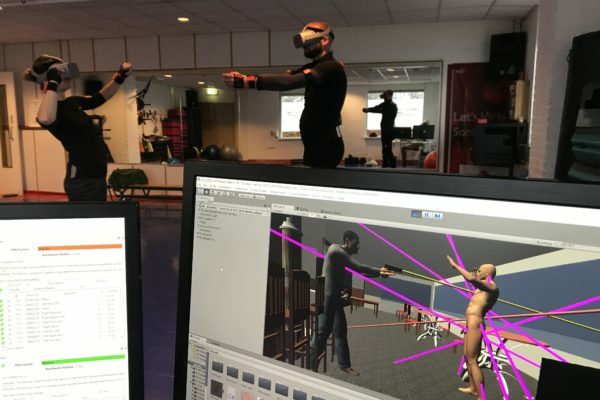 For some crime scene reconstructions IFS uses a new technique called ‘ motion capture ‘. 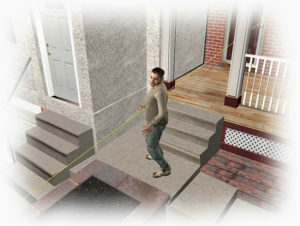 This technique provided by Xsens is also used for video games and animated movies. 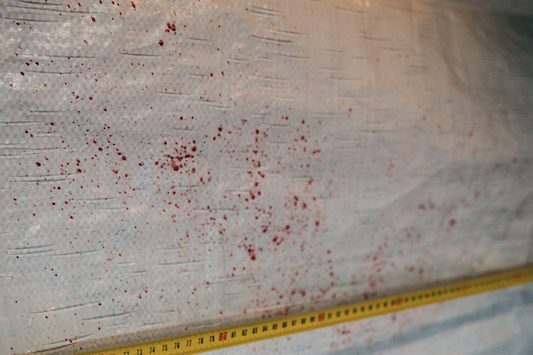 With this technique, IFS is able to re-play an event very accurately and then project this in a virtual crime scene. By reconstructing and re-playing several possible scenarios, not only various hypotheses can be tested, but it can also directly be shown in a courtroom. 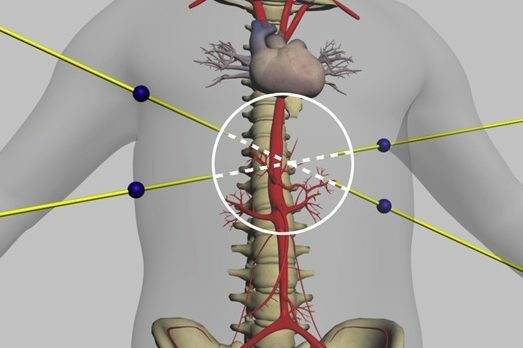 In the case of a shooting incident, the bullet trajectories in the body are determined and the virtual representation of a victim is, as it were, digitally stripped to make the internal damage transparent. In this way we can align the entry and exit wounds with the position of the shooter or other damage made by the bullets. 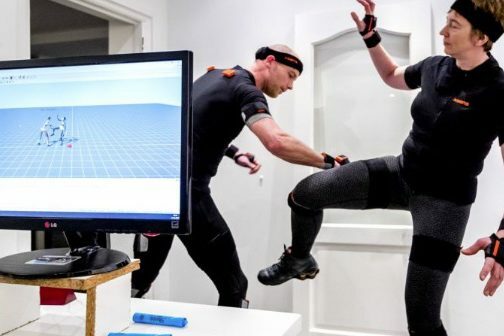 Through Virtual Reality one can actually take a seat, look around and even walk around in a virtual crime scene where everything is as it was during the incident. This creates a true-to-life dynamic whole in which everyone can watch the movements of the actors live via a screen. 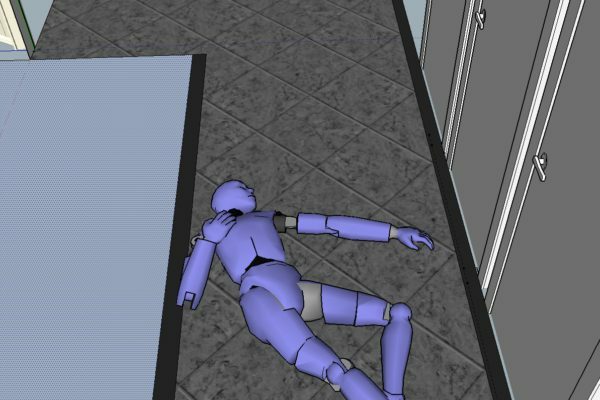 The animation below is an example of a final product of a fight in which a female victim was hit with a hammer. 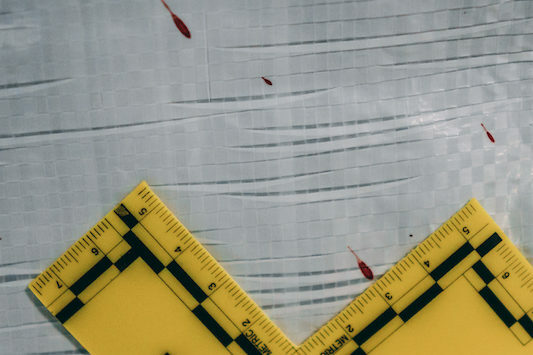 Not only shooting incidents can be re-enacted; a reconstruction of a murder involving the use of a knife can provide new insights into the place where blood can be expected which sprays from arterial bleeding. 3D point cloud scans made with any brand and type of 3D scanner can be used to perform reconstructions. 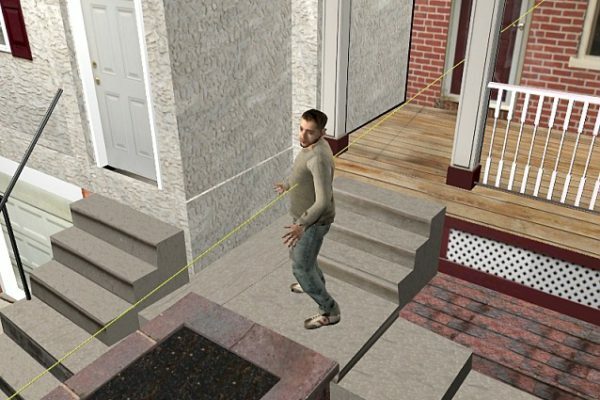 With virtual reality glasses you can actually sit in a point cloud and move freely in it and, for example, replay a shooting incident to find out the position of the shooter based on the injuries of a victim. All technology is in-house and can also be rented for a single recording or used during a demonstration, course or lecture.